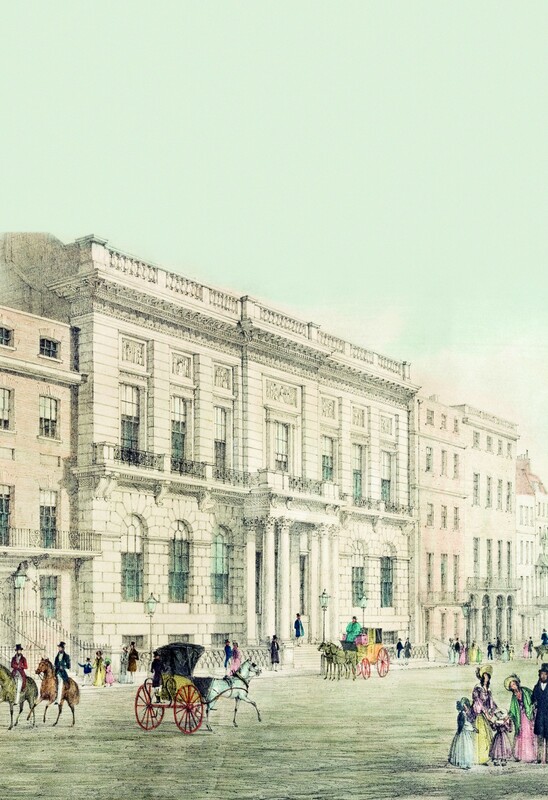 The Oxford and Cambridge Club is the result of a number of amalgamations, most recently between the United University Club of 1821 and the Oxford and Cambridge University Club, which was established nine years later. Members, both men and women, are drawn exclusively from the alumni and senior staff of both universities. Distinguished former members include Palmerston, Canning, Melbourne and Macmillan, the Duke of Wellington, William Thackeray and TS Eliot. The Club house was designed by Sir Robert Smirke, the architect of the British Museum, and was completed in 1838. An important example of the fashionable Greek Revival style, the façade conceals a magnificent yet elegantly understated neoclassical interior. Membership of the Club means joining a worldwide network of over 4,500 other Oxford and Cambridge University alumni. These range from undergraduates and recent graduates to those who matriculated before World War II, and over 1,600 are from overseas. Lord Sainsbury and Lord Patten are Honorary Members, as Chancellors of the two universities. So too are the Vice Chancellors and most Heads of House together with HRH the Prince of Wales, HRH The Duke of Edinburgh, HM Queen Margarethe ΙΙ of Denmark, HM King Harald V of Norway and His Majesty King Philippe of the Belgians.